I did a little supermarket research a couple weeks ago in preparation for a talk I gave at the New England Veterinary Medicine Association (NEVMA) meeting in Portland. A NEVMA Executive Board member had asked me to talk about farm animal welfare standards and certifying organizations. Since I returned from an American Veterinary Medical Association Fellowship in DC in 2013, I’ve been working part-time for Cooperative Extension and have also been working part-time for the American Humane Association (AHA) as the chief veterinary advisor for their farm animal welfare certification program. Formed in 1877, AHA is the country’s first humane organization. The initiating event in the formation of the association was the inhumane transport of livestock and AHA helped to draft and enforce the 28-hour law for the transport of livestock (which is still on the books). You may be more familiar with AHA if you go to the movies through their “No animals were harmed in the filming of this movie” program. The AHA Humane Heartland certification program was started in 2000 and is the country’s first farm animal welfare program. I first became aware of this program in 2011 when several AHA staff members conducted a poultry worker training course at one of our large Maine poultry farms. They also installed a video monitoring system at this farm in Winthrop. 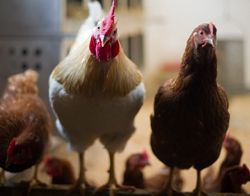 The Humane Heartland program has welfare certification standards for laying hens (enriched colony, cage-free, free-range, and pasture-based), broiler chickens, turkeys, dairy and beef cattle, swine, dairy goats, meat ducks, and bison. Farms enrolled in the AHA certification program are subject to annual third party audits conducted by independent, certified auditors and can use the “American Humane-certified” label on their products. My role has been to review all of the livestock and poultry standards and recommend areas for change. I also developed the agenda for the AHA’s Scientific Advisory Committee, which met in September in Los Angeles and I have been charged with recruiting new members for this committee. Temple Grandin is one of committee members. So, getting back to the supermarket research. I did a very quick survey of egg prices and package labels because I wanted to compare prices and labels, and see if I could find the “American Humane-certified” label on any eggs sold in Hannaford’s, Whole Foods, and Trader Joe’s. I couldn’t. I checked the prices and labels for white and brown large eggs in all three stores. I did find several competitors’ labels in both Hannaford’s and Whole Foods “Humane Certified,” which is granted by an organization called Humane Farm Animal Care. The least expensive eggs were large white eggs at Hannaford’s at $1.69 a dozen. The package code on the end of the carton indicated that these eggs were produced at one of our Maine egg farms in Turner operated now by Land O’Lakes. Useful piece of information: If you want to know where the eggs you buy are actually laid, visit USDA’s Plantbook Query Page. The most expensive eggs at $4.69 for six eggs were large brown eggs from Carol’s Farm in New Hampshire. One the eggs in the carton I checked had a beak hole in the shell. The most “informative” eggs were labeled “pasture-raised, Certified Humane, non-GMO project-verified” and came from Vital Farms in Austin, Texas. These eggs were not organic and sold for $6.79 per dozen. If you want truly local eggs, you can purchase the large brown, cage-free eggs from Sunset Acres Farms in Brooksville, Maine at $4.29 for six. I only wish I could find AHA-certified products in Maine stores. If you see any “American Humane-certified” labels in Maine grocery stores, please let me know. Dr. Hoenig retired as the Maine State Veterinarian in 2012 and, after completing a year-long Congressional Fellowship in Sen. Susan Collins’ office in Washington DC last year, in January 2014 he started working as a part-time Extension Veterinarian for University of Maine Cooperative Extension. Dr. Hoenig invites you to submit questions and comments to dochoenigvmd78@gmail.com. Answers to selected questions will appear in future blog posts. 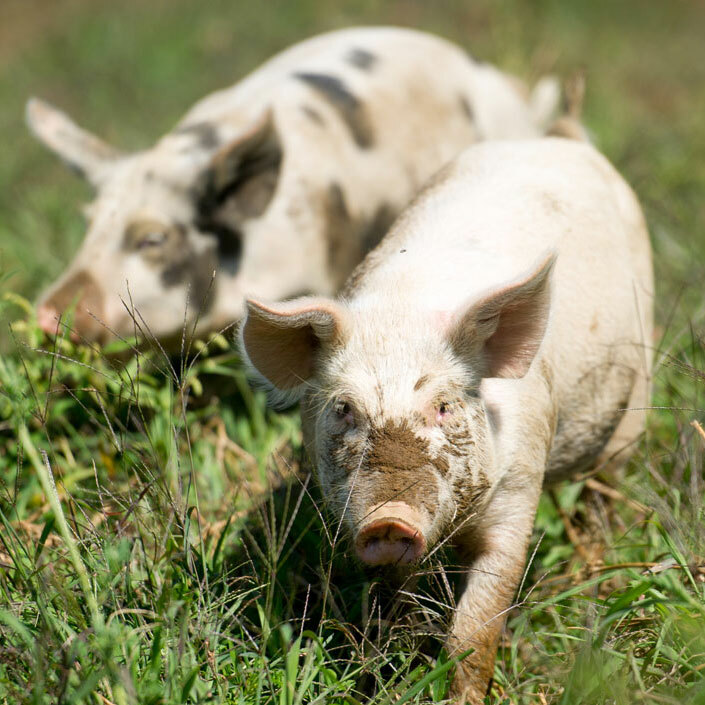 Made In Maine: Thoughts on Food, Animals, and Agriculture is written by Donald E. Hoenig, VMD, MIM Consulting, University of Maine Faculty Associate, Belfast.